Add some deep blues to your arm party with this Lapis Lazuli gemstone bracelet. 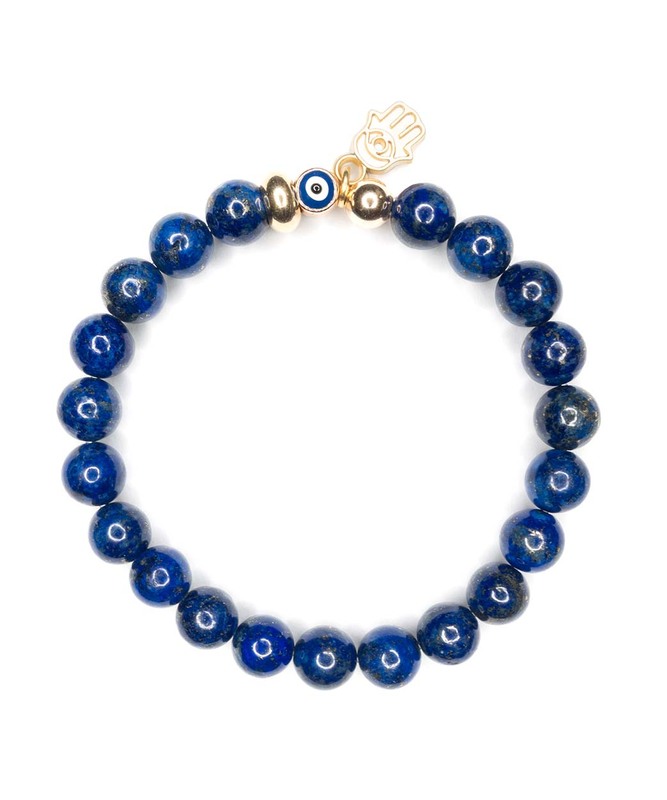 Accented with a gold hamsa for good luck and a blue enamel evil eye for protection. As seen on Gisele Bündchen at the Super Bowl!